Zimbra Collaboration 8.8.12 (aka “Isaac Newton“) is HERE … keep reading for 8.8.12 highlights. For detailed information on the 8.8.12 release, please visit the release notes. Hierarchical Address Book (HAB): This enhancement of the Global Address List (GAL) is now in the Zimbra Web Client. Users can view, navigate and select contacts from the HAB, and they can see the organizational structure. Check it out … it’s a cool new feature requested by many users. ZCO now supports the Zimbra Dumpster feature: ZCO users can now recover permanently deleted messages or contacts back to the Trash folder. 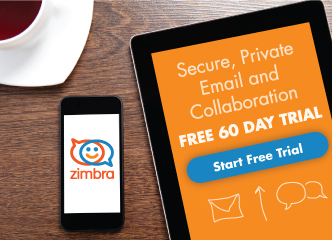 Zimbra Drive: It’s now GA! Users can share entire folders, and it provides integration with many Amazon-S3-compatible storage solutions. Zimbra Talk: Now includes instant meeting, so you can include external contacts in collaboration sessions. Zimbra Docs: We upgraded Zimbra Docs with a fresh look (improved toolbar colors and layout and easier shape editing) and improved interoperability. We hope you are as excited about this new release as we are! And, as always, please reach out to us any time, or if you spot an issue, please open a support ticket. 4 Responses to NEW Zimbra 8.8.12 (aka Isaac Newton) is HERE! Admins with users connecting with IMAP should not yet update to 8.8.12. There’s a bug that prevents IMAP clients from syncing and displaying folders that contain non English characters like German umlauts (ä, ö, ü). Hi Thomas – I believe this was corrected with the latest patch. Thanks. Is there any known problem related to install Zimbra 8.8.12 on RHEL7.6? Hello Josue – please check in forums.zimbra.com for any known problems. That’s the best place to check and/or ask questions. Many thanks.